The Human Rights Commission has announced that the National Justice Project is a finalist for their 2018 Human Rights Law awards. 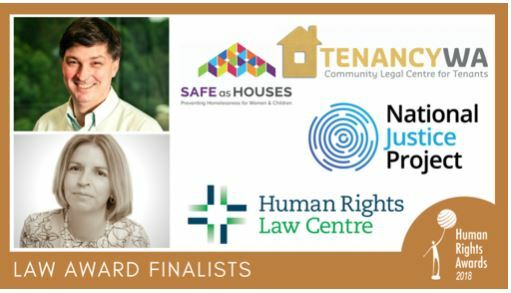 Judges for the 2018 Human Rights Awards have spent countless hours going through more than 370 nominations across the nine categories. Finalists for the remaining eight categories will be released over coming weeks. 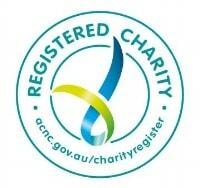 Tenancy WA is a not-for-profit community legal centre that provides support to disadvantaged residential tenants in Western Australia. In the past year, in collaboration with Women’s Law Centre and Street Law Centre, Tenancy WA launched the Safe as Houses program that aims to prevent homelessness for women and children affected by family and domestic violence. The LGBTI Unit (Anna Brown and Lee Carnie) works nation-wide to advance the rights of lesbian, gay, bisexual, trans and intersex Australians. The Unit challenged the divisive and unnecessary postal survey in the High Court, worked with federal parliamentarians to achieve the passage of marriage equality legislation without hostile amendments, and intervened in the Re Kelvin case to ensure access to hormone treatment for transgender teenagers. Dr Hannah McGlade is a Noongar human rights lawyer with an outstanding reputation for her work with Aboriginal people, particularly women and children affected by violence and discrimination. Last year, Hannah was appointed a National Children’s Ambassador by the Secretariat for National Aboriginal Islander Children in Care. Hannah’s recent work has included advocating for Aboriginal family-led decision making. The National Justice Project is a not-for-profit legal service that provides access to justice in Indigenous and Pacific Islander communities, including people in immigration facilities. Over the past year, NJP has helped several children detained on Nauru be brought to Australia for medical care. NJP has also acted for families of Indigenous people who have died in custody. Professor Andrew Byrnes is one of Australia’s leading human rights legal academics, and is currently Professor of Human Rights Law at UNSW. Andrew has had a distinguished career dedicated to advancing human rights in Australia and internationally, including campaigning for the abolition of the death penalty, as well as upholding the rights of older persons, people with disability and gender equality.